Whether it is a European city break, ski holiday, business trip or some winter sun, Glasgow Airport has it covered this winter and as well as details on destinations, the handy pocket-sized guide provides passengers with information on parking, shopping, eating and relaxing at the airport. A number of additions have been made to the flight guide with easyJet now serving both Palma and Jersey all year round, Jet2.com adding Lanzarote to its already extensive schedule and Flybe reintroducing the popular East Midlands route. Thomson and Thomas Cook continue to serve an impressive range of winter sun destinations, while those seeking to travel further afield can take advantage of Emirates’ second daily service to Dubai. Passengers using this service can now benefit from new onward connections to Adelaide, the capital city of South Australia, and the Thai holiday island of Phuket. In March, Virgin Atlantic will bring forward the launch of its summer flights to Florida to coincide with the Easter holidays, and Icelandair will introduce a new Friday flight to Reykjavik. Francois Bourienne, commercial director at Glasgow Airport, said: “We have worked hard to strengthen our route network this year and it really is encouraging to see a number of our airline partners add a host of new routes and services. “Passengers travelling from Glasgow Airport can choose from a fantastic range of domestic, European and long-haul scheduled flights this winter, and with regular flights to a range of popular sun destinations we have all the bases covered when it comes to package holidays. 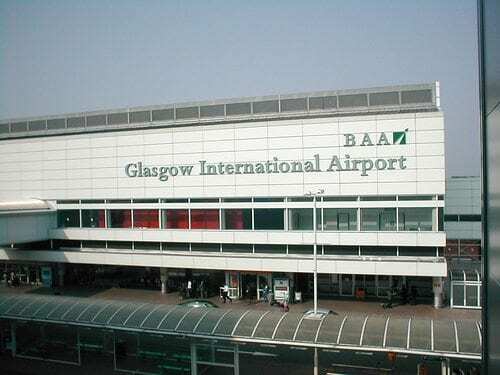 In 2011, Glasgow Airport invested almost £12 million in capital projects designed to provide a better experience for passengers and a further £9 million is being spent this year on airside developments and further improvements to the fabric of the terminal. To download a copy of the winter 2012 flight guide visit http://www.glasgowairport.com/flight-information/flight-timetables.